Meal Planning is not a healthy diet habit that most people engage in. People shopping at 4:30 pm, still have no idea what they will fix for dinner. It is a matter of what sounds good at the time, with little thought to a meal plan, or overall strategy for the day’s meals. Most people eat whatever they want, whenever they feel like it. Food is everywhere that you turn! I believe people who do not plan their meals will not be successful with weight control. Food triggers will lure them in, as well as savvy food marketers! I do believe that there are some strategies that can allow you to sneak by, but you’d need great willpower to do so! Planning your meals, is just easier! It allows you to plan healthy meals that include all of the healthy nutrients that you need for the day, and keep cravings at bay. Figure your Maintenance Calories, or go to the Weight Commander website, and enter your weight and email address, and click on your calories per day. They will give you a print out with your weight and your calorie level for 4 activity levels. Quick and easy! Meal Planning Chart - Once you know your calorie level for the day, you can plan how you want to spend your calories between your meals and snacks. This is a helpful plan because you will quickly see what foods fit into your plan and where you are making mistakes. You will also see you have no room for giant splurges that are half of your calories! Your plan is your plan, but the totals should match your maintenance calories, or you will gain weight. It is impossible to count calories, but you should plan 4 or 5 breakfast, lunch, and snack meals that fit your plan. Dinners are easy if you stick with the 4 S’s - Soups, Stews, Salads and Stir Fries, all loaded with vegetables! 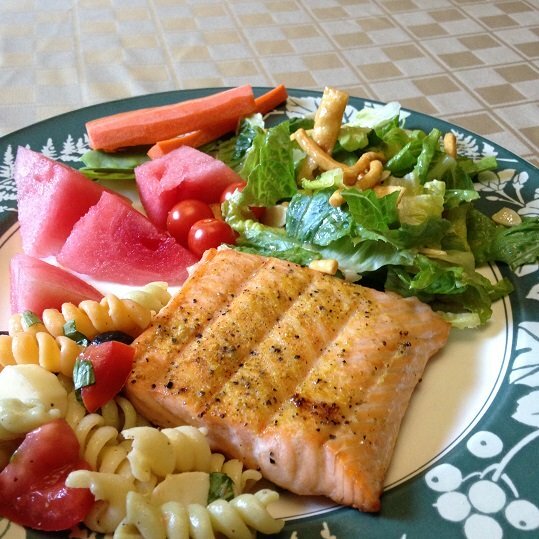 Practice the half plate rule always and always fill up with fruits and veggies! 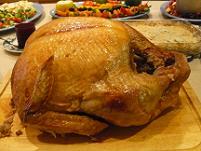 Planning Healthy Holiday Meals A few of the main holidays are included below. For a full list see the Holiday Page. 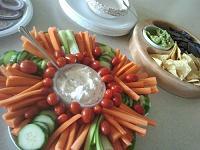 Dinner Club - Brings back the lost art of entertaining! Weekly Menu Planning made easy! 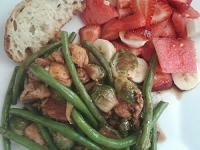 - Choose YOUR favorite meal types, and match them to a day of the week! Choose 4-5 healthy meals that will fit each theme. Taco Tuesday anyone? Unhealthy Food Habits - Ways that manufacturers trick us that may make us blow our daily meal plan, if we are not savvy! Lifestyle Solutions are about making changes in your life that promote health. Developing a meal planning chart is such a simple thing to do, but gives you a framework by which to make great choices. You can then plan many meals that fit your plan, and end deprivation once and for all.